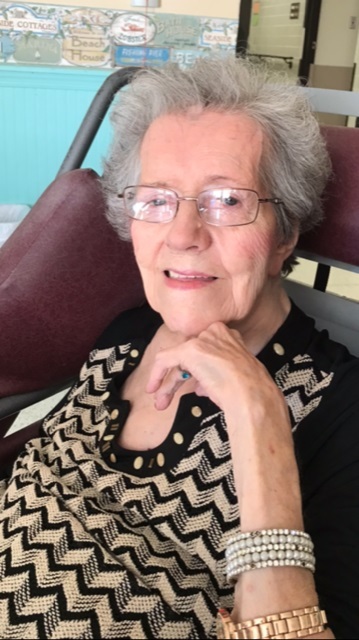 Doris J. Zibura died surrounded by her family and the loving staff of Cedarbrook Nursing Home on March 15, 2018. She was 91. Doris was born on April 21, 1926 in Allentown to her parents, John and Anna Heard. She was predeceased by her husband Joseph, sisters Dorothy, Irene, Beatrice, Ruth and brothers William and Clarence. She is survived by her daughter Carol Hefele, wife of Michael of Allentown, her grandson Tyler Hefele and wife Karlen of Allentown, life companion Leo Bauer of Whitehall and many wonderful nieces and nephews. Services will be held on Tuesday, March 20, 2018 at St. Elizabeth’s Roman Catholic Church. Calling hours will be at the church at 9:00 AM followed by a Mass of Christian Burial at 10:00 AM. Interment will be at Resurrection Cemetery, Wescosville. Please no flowers. In lieu of flowers please donate to Unit D4 of the Cedarbrook Nursing Home, 350 S. Cedarbrook Road, Allentown, PA 18104 where Doris received such loving care. We are grateful that we have this time to celebrate Doris’s 91 years on earth. May she rest in peace. Arrangements being handled by Kohut Funeral Home. Wanda S. (Solomon) Zaboy, 87, of Allentown, passed away January 24, 2017 in Fellowship Manor. 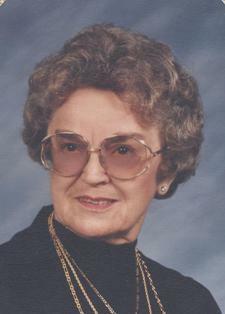 She was the loving wife of the late Boleslaw A. Zaboy, who passed in 2011. Born in Allentown, she was the daughter of the late Joseph and Anna (Toczek) Solomon. Wanda retired as a machine operator for Modern Clothing. She was a member of Ss Peter and Paul Polish Catholic Church, where she sang in the choir for over 75 years, and was even a soloist for 50 years. Wanda was very active in the church pierogie making group (also helping to form and manage) with her friend Bernice. She was very active with the church Bazaars. She was also a member of the Our Lady of Fatima Sodality. Wanda enjoyed cooking, needle point, ceramics, reading and doing jigsaw puzzles. Survivors: Son- Paul Anthony Zaboy; Daughters- Karen and husband Kevin Baldwin, Ann and husband Paul Bussiere; Numerous Nieces and Nephews. She was predeceased by her siblings- Josephine Kuschak, Stella Twoyzdlo, Helen Utsch and Edward Solomon. A viewing will be held on Friday 9-9:45AM with Mass of Christian Burial to be celebrated at 10AM all in Ss Peter and Paul Polish Catholic Church 1065 Fullerton Ave Allentown, PA 18102. Burial to follow in Resurrection Cemetery. A Memorial Service will be held Friday at 3:30 with a Calling Time 3-3:30PM in Zentz Community Center at Fellowship. Arrangements care of Kohut Funeral Home, Inc. In lieu of flowers, donations can be made in Wanda’s memory to St. Jude’s Childrens Hospital, Fellowship Community Annual Fund or to Lehigh Valley Hospice. Theresa C. (Puskas) Zack, 95, formerly of Allentown, currently residing at Holy Family Manor, passed away at 1:40PM on July 25, 2016 in St. Luke’s Hospital. 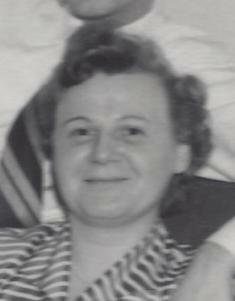 She was the wife of 66 years to the late Frank J. Zack, who passed in 2007. Born in Allentown, she was the daughter of the late Joseph and Helen (Surina) Puskas. She attended St. John the Baptist School and graduated from Central Catholic in 1938. Theresa was an active gymnast with the National Sokols. She worked for several factories in Allentown in her early years, Hess’s in the printing dept. and then for Capital Blue Cross for 30 years before her retirement in 1986. She was a member of St. John the Baptist Slovak Catholic Church. Survivors: Sisters- Margaret (Puskas) Litak of Allentown; Many Nieces and Nephews. She was predeceased by brothers- Stephen, John and Joseph Puskas and sisters- Marie Petrakovich, Helen Pearson-Diaz, Anna Reiss, Julia Pesola, Frances Demyan Sopko, Josephine Fandl, and Valeria Fischl. A viewing will be held Friday 9:30-10:30AM in Kohut Funeral Home, Inc. 950 N. Front St. Allentown, PA 18102. Mass of Christian Burial to be celebrated at Friday at 11AM in St. John the Baptist Catholic Church 924 N. Front St. Allentown, PA 18102. Burial to follow in the parish cemetery. In lieu of flowers, donations can be made in Theresa’s memory to the church care of the funeral home. 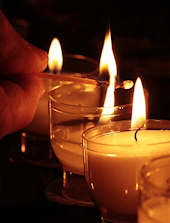 Anna V. (Vasel) Zavilla, 97, of Allentown, passed away February 6, 2015 in Sacred Heart Senior Living, Northampton. She was the loving wife of the late John P. “Lefty” Zavilla. Born in Phillipsburg, NJ she was the daughter of the late John and Mary (Verholy) Vasel. She was a member of the Protection of the BVM Greek Orthodox Church, where she participated in making pierogies for their fundraisers. Son- Richard and wife Patricia Zavilla of Clermont, FL; Grandson- Craig and wife Mary and Great Grandson- Braden of Smithfield, UT; Granddaughter- Kara and husband Bryan of Media, PA.
Services will be Private at the convenience of the family with Entombment in Cedar Hill Memorial Park. In lieu of flowers, donations can be made in Anna’s memory to the church care of Kohut Funeral Home, Inc. Allentown. Maryann B. (Kapun) Zwickl, 59, of Allentown, passed away Tuesday, May 14, 2013. She was the loving wife of Robert J. Zwickl to whom she was married for nearly 37 years. Born in Allentown, she was the daughter of the late Leonard and Bernadine (Janenko) Kapun. Maryann was employed as a production supervisor for over 30 years at the Kraft Foods Lehigh Valley facility prior to retiring. Maryann graduated from Cedar Crest College. She was of the Catholic faith. Maryann enjoyed taking care of and playing with her Golden Retriever Zeta who was her constant companion. She liked to travel and especially liked visiting casinos with her friends and her mother. Maryann also enjoyed simply spending time with her friends and relatives who were a constant source of comfort and support. A viewing will be held on Friday 9:30-10:30AM with a Service to follow 10:30AM, all in Kohut Funeral Home, Inc. 950 N. Front St. Allentown 18102. Burial to follow in Resurrection Cemetery. Donations can be made in Maryann’s memory to the American Cancer Society 3893 Adler Pl Bethlehem, PA 18017.